– this is how we gain our clients. We gain our clients by proceeding in accordance with our mission: ‘Your success – our passion’. Our employees are highly specialized, and have all necessary competences and extensive knowledge about the market specifics. We work closely with our clients, in order to deliver to them tailored solutions which are adapted to their needs and market’s requirements. Technical consulting, trainings and seminars as well as in-depth knowledge about the market products and applications are the key of our success. KÖNIGSTAHL is part of the international KÖNIG GROUP and is equally involved in building the group history, tradition and future. The long-term relationships with our partners, the strong customer orientation and the provision of high-quality services reflect the company’s success. over 150 years of the company history. Our group has its roots in Retz in Lower Austria. There in 1864, Raphael König founded a workshop which was later extended by his son Jacob König. Jacob also expanded the extensive assortment of the tool shop. The following KÖNIG branches increased the company’s presence in Lower Austria, and then in Vienna. KÖNIG started the specialization by taking over the office of the British Steel corporation (today TATA Steel) in 1969. By introducing hot-formed hollow sections, a highly innovative product at that time, KÖNIG positioned itself as a competent supplier of products and services for the construction of machines and steel structures throughout Austria. The fall of the Iron Curtain was a chance for KÖNIG to develop geographically. 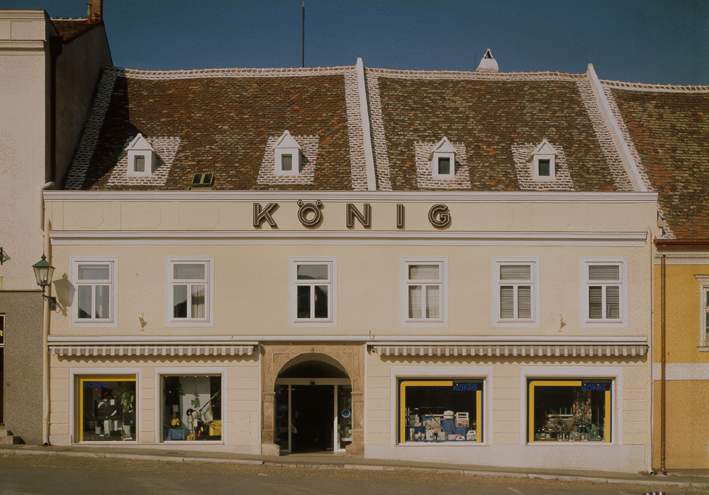 Since 1990, KÖNIG consistently explored Central and Eastern Europe, largely through the creation of local branches. Thus KÖNIG also accompanied many of his Austrian clients on their business routes to Eastern Europe as a reliable supplier and partner. In 1993 the KÖNIG STAHL Sp. z o.o. company was finally established, with its Warsaw warehouse and office. Poland quickly became the main destination of the group business development. New commercial branches and warehouses were opened. 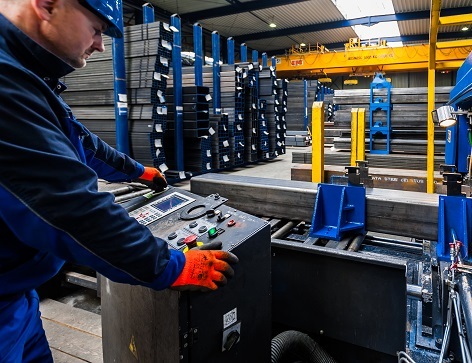 The KÖNIG Group has hold direct shares in steel trading companies in the Czech Republic, Slovakia, Hungary, Romania and the Netherlands. Along with the growing number of customers, KÖNIG has consistently expanded its range of products and services, and has established relationships with leading manufacturers and suppliers. In addition to closed profiles, KÖNIG STAHL Sp. z o.o. has offered round tubes, high quality drawn steel and construction steel. We can also deliver to our clients with customized services, such as cutting and laser cutting, thanks to which the products can be delivered ready to use, supplying the production process directly and in the ‘just-in-time’ model. Today the company KÖNIG STAHL Sp.z o.o. is present in Warsaw, Mikołów, Poznań, Gdynia and Solec Kujawski, as well as through a network of technical consultants across Poland.